The Ferme aux petits oignons is recognized for the excellence of its organic field output management and operating, as well as its efficient and ergonomic facilities. On board, the farm has a team of 9 experimented, professional and devoted permanent employees. 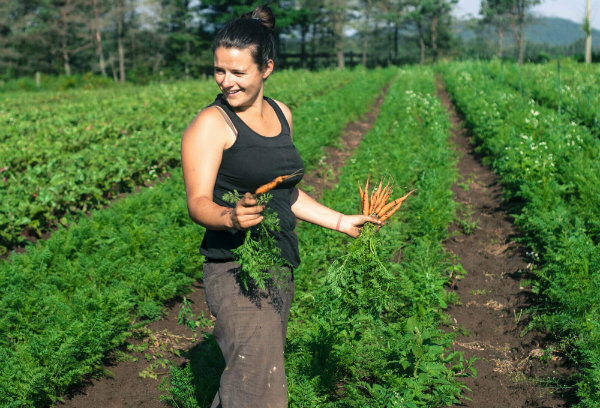 During the season, we are welcoming many trainees seeking for job experience or simply to live the organic farm experience. The trainees are committing to work a minimum of 4 days a week in exchange of board and lodging. For the available trainee positions on the farm, contact us at info@fermeauxpetitsoignons.org. We also recruit a few seasonal employees that have experience or agriculture training courses. Occasionnally, permanent positions on the farm are open. Send us your application at info@fermeauxpetitsoignons.org.